Websites are just one part of the Internet. There are power plants, Smart TVs, refrigerators and much more that can be found with Shodan! Keep track of all the computers on your network that are directly accessible from the Internet. Shodan lets you understand your digital footprint. Who is using your product? Where are they located? Use Shodan to perform empirical market intelligence. 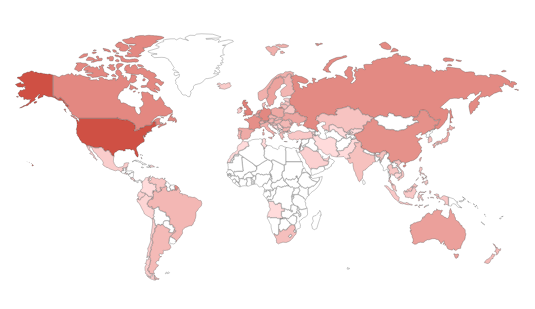 Shodan is used around the world by researchers, security professionals, large enterprises, CERTs and everybody in between. Shodan has servers located around the world that crawl the Internet 24/7 to provide the latest Internet intelligence. Who buys Smart TVs? Which countries are building the most wind farms? What companies are affected by Heartbleed? Shodan provides the tools to answer questions at the Internet-scale. Shodan provides a public API that allows other tools to access all of Shodan's data. Integrations are available for Nmap, Metasploit, Maltego, FOCA, Chrome, Firefox and many more. If you are a developer check out the official API documentation.